March 27: Black Metal band BLACK ANVIL covers "Under The Rose"
New York-based black metal crew BLACK ANVIL will release its third full-length album, "Hail Death", on May 27 via Relapse Records. BLACK ANVIL bassist/vocalist Paul Delaney, citing KISS' "Destroyer" and METALLICA's "Master Of Puppets" as inspiration. "I wanted it to be a little more rock 'n' roll sounding because I felt the songs were a little bigger and structured. 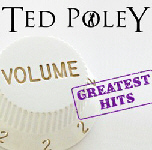 It tells a story from beginning to end and the recording reflects that." As such, the behemoth offering includes a bonus track: a cover of "Under The Rose" from KISS' iconic ninth studio recording, "The Elder". Rock and Roll Hall of Fame inductee ACE FREHLEY will release SPACE INVADER, his first new solo album in five years, via Entertainment One Music (eOne Music) on June 24th, 2014. The album will include at least nine brand new original songs as well as a cover of Steve Miller’s “The Joker.” This album is the first release under Frehley's new universal deal on eOne Music. Widely known as the original “Space Ace" and founding guitarist for 16 cumulative years (over 2 tenures) of the multi platinum selling rock band KISS, Frehley is demonstrably the most popular original member. In addition to having the best selling solo album career (vintage or current) among the original foursome, Frehley’s self titled Ace Frehley, released in 1978, went on to sell over one million copies, producing the only Top 40 single, “New York Groove,” from any of the legendary KISS solo albums; (peaking at #13). The massive hit was most recently featured in an episode of cult show “Entourage” and was also KISS’ second bestselling download in 2012, besting such KISS Army anthems as “I Was Made For Lovin’ You,” “Beth” and “Calling Dr. Love” even after 36 years. Since departing from KISS, Frehley went on to release four more solo albums and one live EP including his most recent effort, "Anomaly" in 2009, which debuted at #27 on the Billboard Top 200 chart and received a welcoming response among critics. "’Anomaly' shows why many rock and metal guitarists list ‘Space Ace’ as a prime six-string influence," said Rolling Stone. Ace Frehley recently spent time in the studio with drummer Matt Starr (BURNING RAIN) and bassist Chris Wyse (THE CULT, OWL) working on Ace's new CD. "I'm really excited about this record, because everybody that's heard the tracks just says they think some of the tracks are even better than Anomaly, and even showing another side of me," Frehley told Rolling Stone in an interview for the magazine's current cover story. "There's two songs I'm going to re-track, but I'm doing mostly overdubs. Most of the hard work is over." Frehley also said that the album would feature collaborations with his girlfriend Rachael Gordon and told Rolling Stone that an album of covers and remakes would follow 'Space Invader'. "That one will be a real treat for the fans, too," Frehley said. 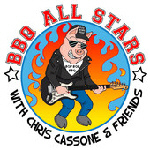 "I want to get some celebrity guests to play on it, some of the covers and stuff, get Slash, Mike McCready, my buddy from Pearl Jam. You know. The list is endless." Then, with a laugh, he added, "I might even get Gene Simmons to play bass on a track." Captain Black Beard have signed with Dead End Exit Records which label will release their 2nd album "Before Plastic". 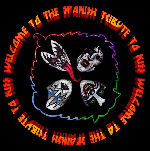 The disc contains 11 rocking tracks as well as guest appearances by former KISS-guitarist Bruce Kulick, Mats Karlsson (220 Volt, The Summit) and Tommy Denander (Imperia, Radioactive). 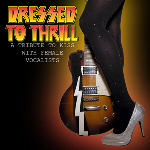 "Dressed To Thrill - A Tribute to KISS with Female Vocalists". 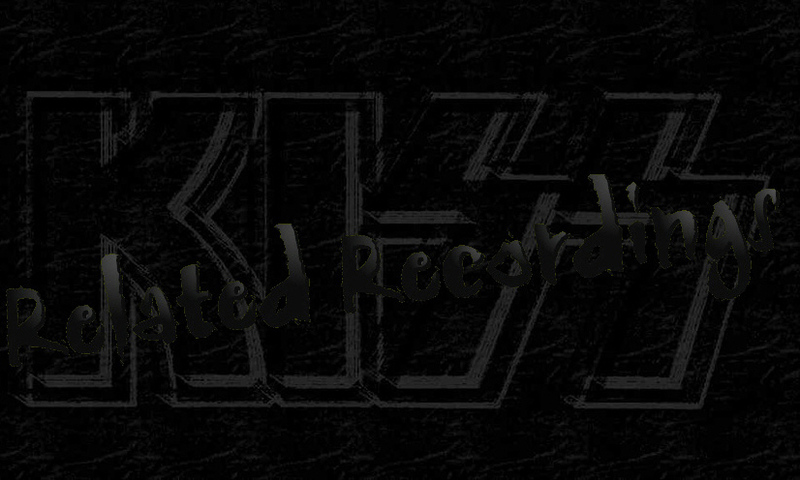 First time commercial CD release live recordings of “Deuce” (from 2004 tour), “Cold Gin” (from 2009 Alive 35 tour), “Crazy Crazy Nights” (from 2010 Sonic Boom Over Europe tour) and the previously unreleased 1977 demo of “Reputation” round out the set for the KISS Army. On Monday, March 10, outside the Honda Center arena in Anaheim, CA, Gene Simmons and Paul Stanley of Kiss helped unveil the uniforms and cheerleaders for their latest concept/investment, the LA Kiss of the Arena Football League. be released in the UK on March 17th 2014 through Conehead via Nova Distribution / Universal. Engelbert has teamed up with singers including Sir Cliff Richard, Sir Elton John, Willie Nelson, Lulu, Smokey Robinson and Gene Simmons, lead singer of US rock group Kiss. 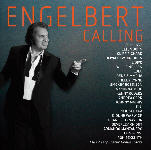 A sample of "Spinning Wheel", Engelbert Humperdinck's duet with Gene Simmons, can be heard at amazon.co.uk. CLICK HERE for album details.